Ugadi marks the start of the New Year according to the Hindu Lunar calendar.The festival is especially celebrated with pomp and splendor in the state of Telengana and Andhra Pradesh, as the start of a brand new year. Ugadi marks the end of a year and also the beginning of new hopes and dreams. It’s a day of festivities and celebrations, marked by colorful decorations and delicious traditional food. Ugadi is without a doubt, an International festival, enjoyed and celebrated by the Telugu community irrespective of where they live. If you’re one of the countless people enjoying this beautiful festival, we have special offers just for you. Ugadi is also a great time to get together as a family and enjoy a nice relaxing day with your loved ones. A great way to go back to our traditions is to enjoy them through Live Telugu TV programs. YuppTV, one of the leading Telugu TV channels provider in overseas would like to play a part in your celebrations. We offer a wide range of offers and discounts, guaranteed to make your celebration better and brighter. So take some time off to unwind with our special packages and enjoy your favorite movies, music and your favorite stars as well. Take advantage of our amazing offers and make sure this Ugadi you make the best of your subscriptions. Here on YuppTV, we offer a wide variety of offers and subscription packages, tailored to meet your specific requirements. Irrespective of where you live, you can now avail our discounts and offers. In fact, YuppTV offers discount packages specific to different regions, so you can choose the package that appeals to you the most. So, this Ugadi, make sure that you check out all the offers that we on YuppTV offer and choose the right plan to make your holidays better. 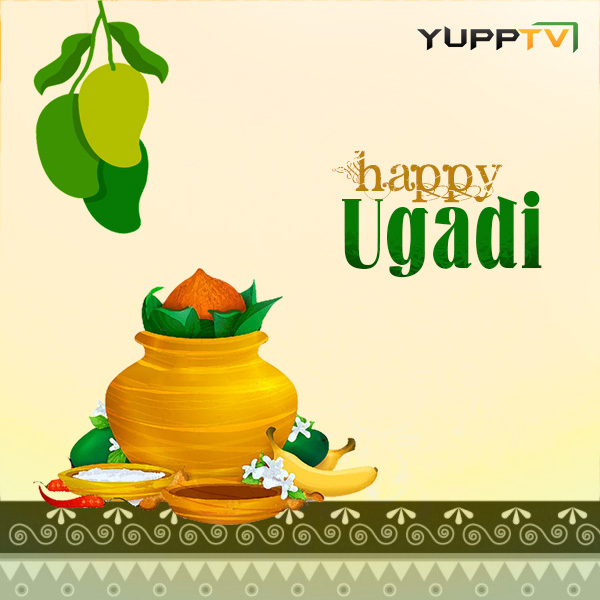 We, at YuppTV wish you and your loved ones a happy and a very prosperous Ugadi.